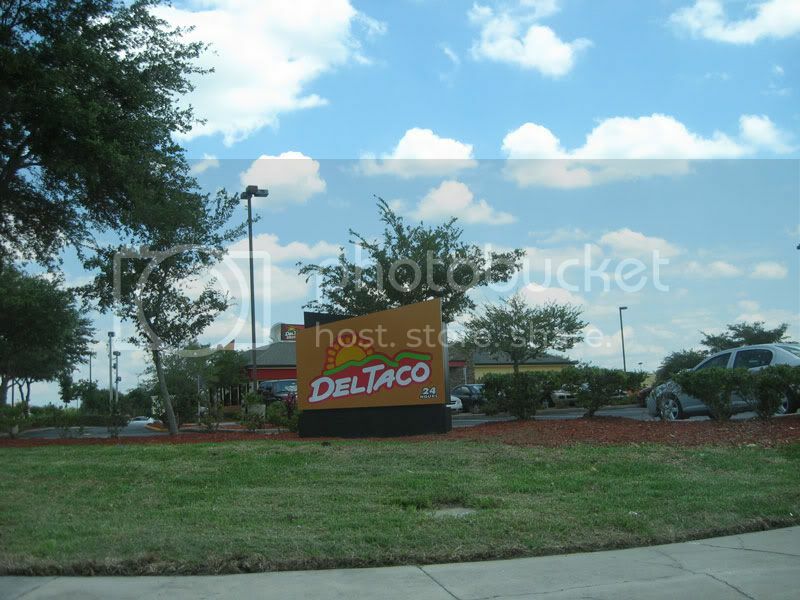 Del Taco is one of the newest fast food Mexican chains to pop up in Central Florida. 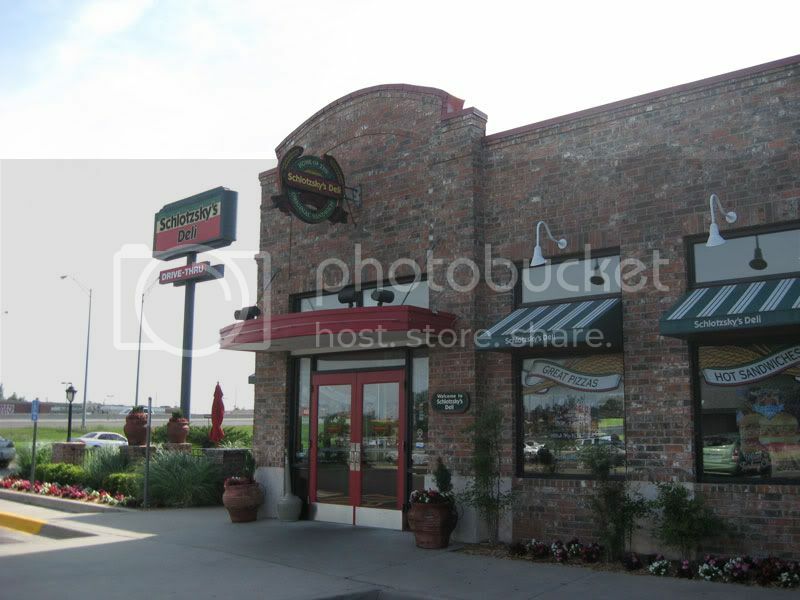 It went into the old Fazoli's building in Oviedo, FL and there was quite a bit of a buzz on the internet when this place opened. I signed up for Del Taco's email club on their website and received a coupon for two free chicken tacos. Eventually, I made it to Del Taco and got my free food. The tacos tasted okay, but weren't anything I'd go running back for. 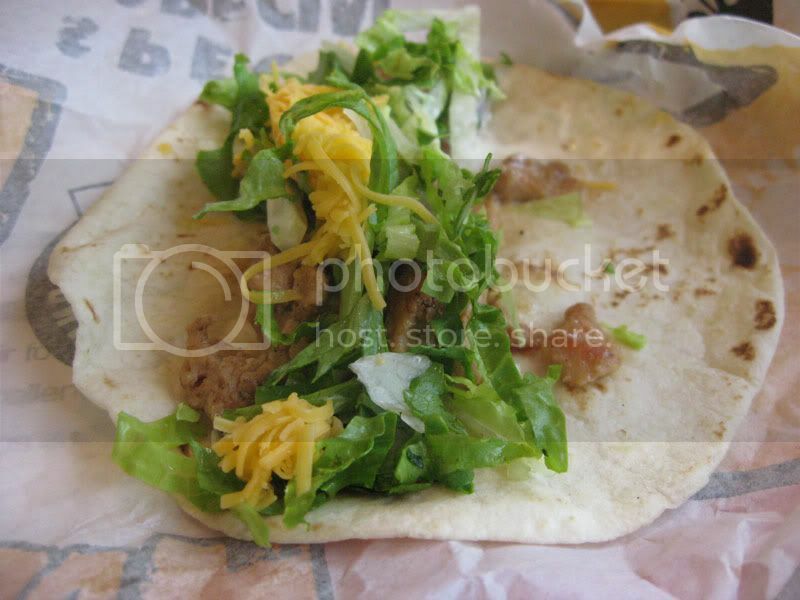 The chicken at Del Taco actually resembled meat, unlike a few other Mexican chains that I can think of. I was impressed that they used Romaine lettuce instead of iceberg, but other then that the tacos weren't anything special. I was also surprised with Del Taco's menu. Rather than being all Mexican, they also served burgers and fries. 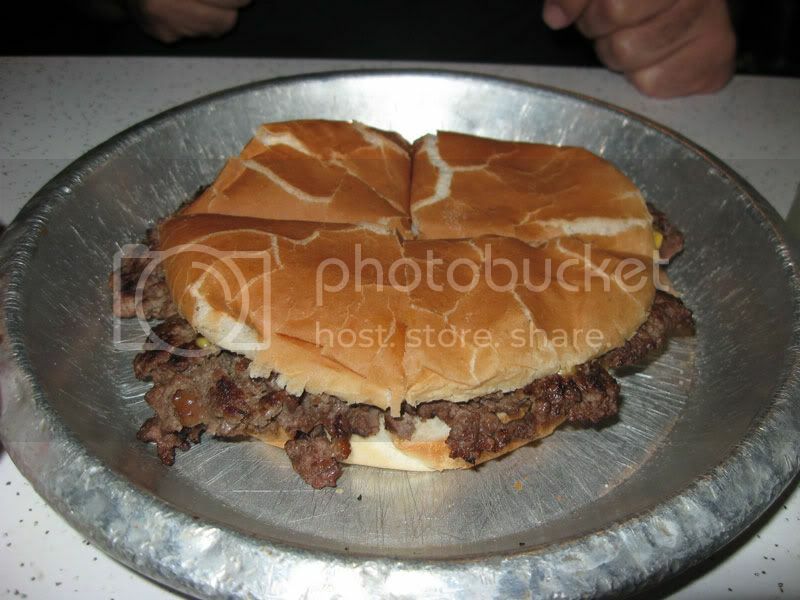 Because of this split menu, both the Mexican and burger sides of the menu both seemed somewhat limited. Taco Bell has a much more impressive menu when it comes to their available items on the menu. A few weeks later, Del Taco had a grand opening event where they made a really big burrito, cut it up, and then distributed the slices among the onlookers. They filled the burrito with ground beef, beans, cheese, onions, lettuce, tomatoes, sour cream, and a red and green sauce. While making the burrito, the announcer/DJ kept on referring to this as the world's largest burrito and said that people from Guinness were there. Somehow I doubted that a fifteen foot burrito had never been made in the past. 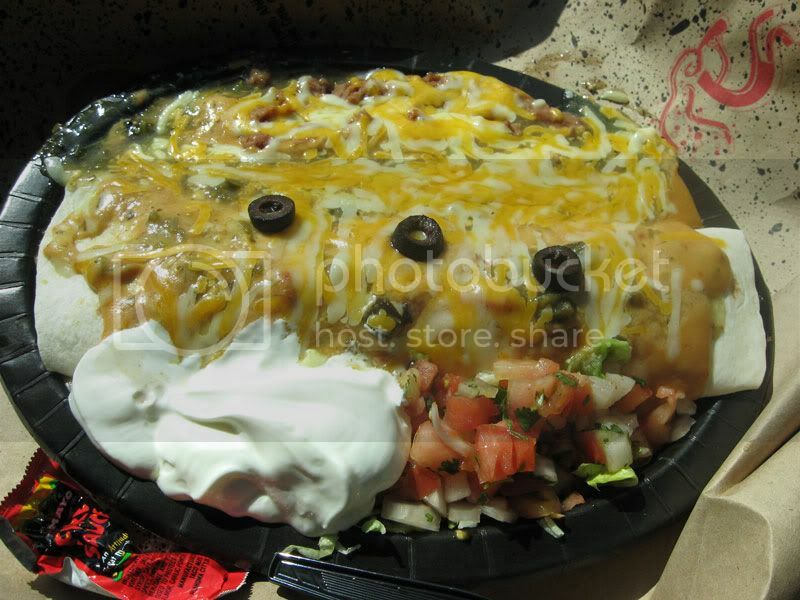 I googled it and found pictures of a much larger 3,578 foot burrito. But who's complaining? The big burrito resulted in a free dinner and tasted pretty good! They were giving out coupons for free chicken tacos at the event, so I took one of those for my next visit. That's three free meals from Del Taco so far! I have heard good things about Giordano's Pizza. 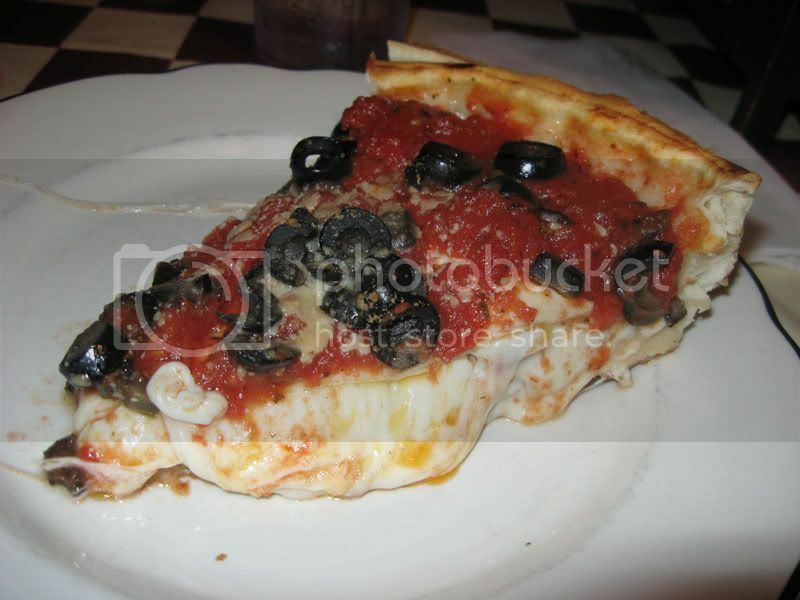 It is Chicago style stuffed pizza with multiple layers of crust with the sauce on top. 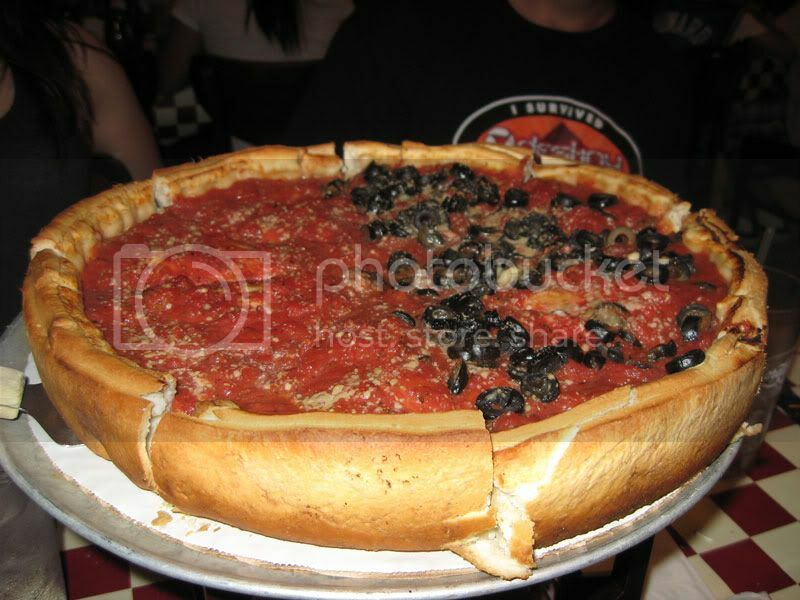 I really have very little experience with Chicago style pizza, and I had never tried a pizza quite like what Giordano's sells. The restaurant was on my list to try for a while, an I finally made it to the location on Apopka Vineland Road near Disney. 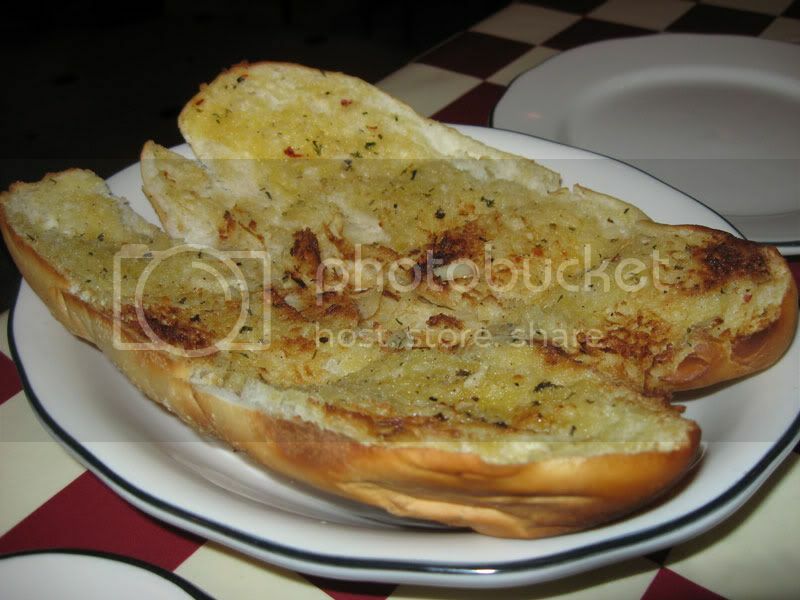 The meal started out with some garlic bread. There was a decent amount of garlic on here, unlike some other Italian restaurants that just use garlic butter and no actual garlic. The pizza was definitely unique, but I think I still prefer the more traditional New York Style pizza. This pizza had far too much cheese that all oozed out of the slices. Perhaps if it was given time to set, the oozing wouldn't be as big of a problem, but it was still too much. One slice on this pizza probably had just as much cheese as a few slices of a traditional pizza. The crust on this pizza was pretty good though. It was sort of flaky, sort of like a pie crust rather than the bread that normally makes up a pizza crust. 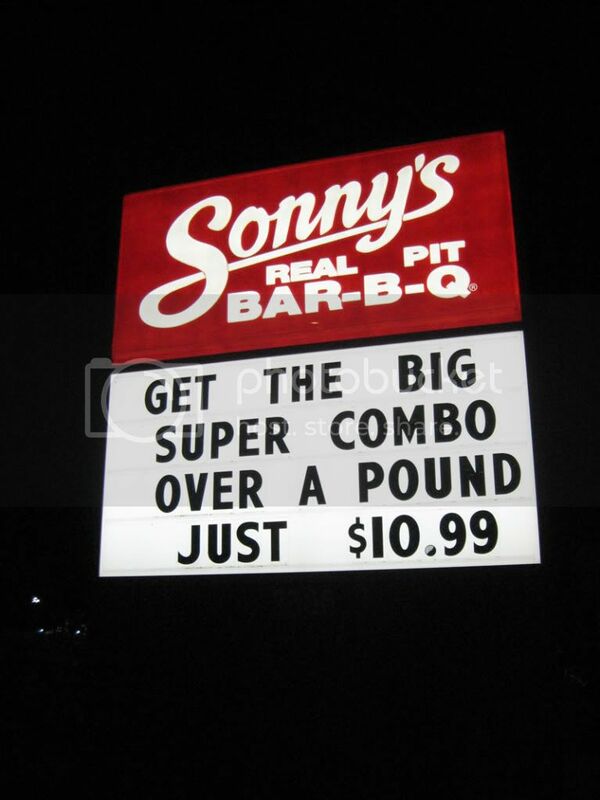 I ate at the Sonny's Bar-B-Q in Sanford, FL. 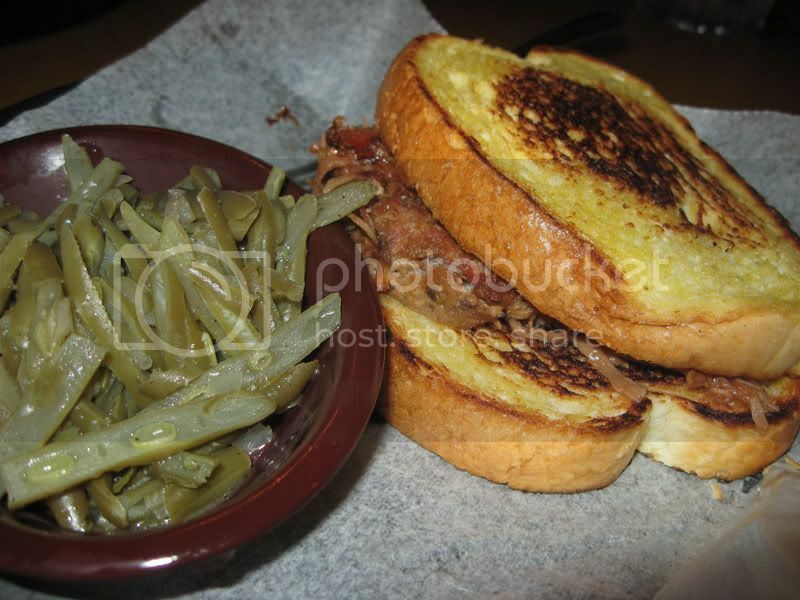 I had a pulled pork sandwich on garlic bread with a side of beans. It was on par with other pulled pork sandwiches that I've eaten in the past leaving me with no complaints about the food. Although the food was good, I can't say the same for the service. When we entered the restaurant, we stood there for several minutes while we were passed from employee to employee, each saying "Someone will be right with you." Eventually we were seated and our waitress acted like we were bothering her by eating at the restaurant. Our food came long after tables with other servers that ordered after us. 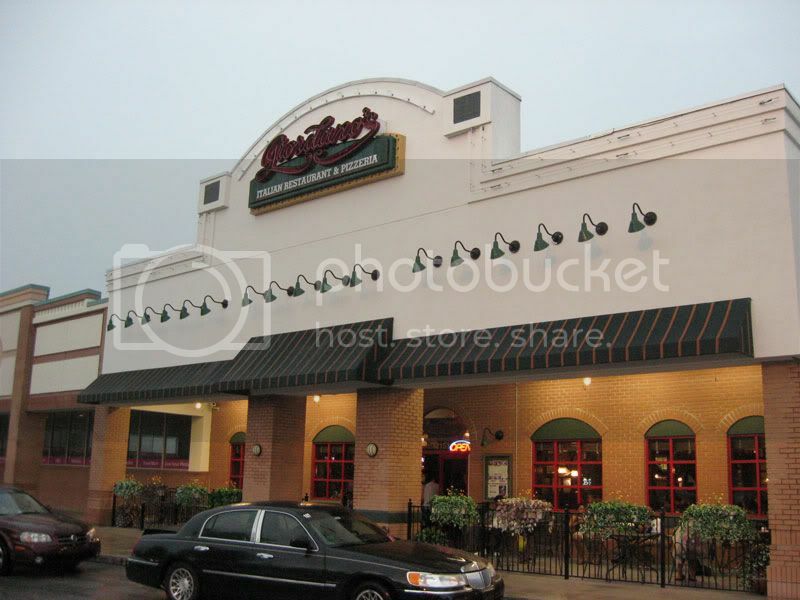 The service at Sonny's was equivalent to the service that you generally get at a place like Denny's. Friday, June 19 was free smoothie day at Orange Julius if you came in with the proper coupon printed from their website. Always on the lookout for free food, I of course utilized this offer. I went to the Orange Julius in Sanford's Seminole Towne Center Mall and was offered the choice of three light smoothies with 250 calories or less with the coupon. I chose the Berry-Pom Twilight smoothie. Although it was free, I thought the smoothie was horrible. It tasted like a mix of apple and grape juice that was somehow thickened. Neither of these juices are my favorites so that didn't help the taste. 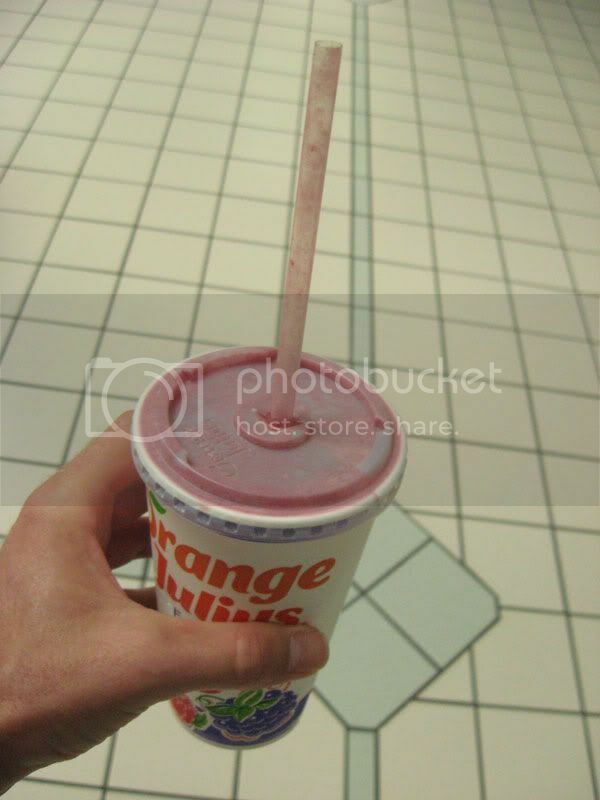 Orange Julius also put all sorts of artificial sweeteners in the smoothie like Splenda. I am not afraid of sugar, so I try to avoid artificial sweeteners, and Splenda especially scares me. Google 'Splenda side effects' and look at all of the results that comes up. I couldn't find any scientific studies on the effects of Splenda, so I am a bit skeptical of all of the claims that come up, but it also seems like a whole lot of people are experiencing negative side effects that they are attributing to Splenda. When I make smoothies at home, I only put juice and fruit in them and the smoothies come out plenty sweet. I don't understand why restaurants always add extra sweetener to make their smoothies extra sweet. I drank about half of the smoothie and threw it away. Every so often, the IKEA store in Orlando puts advertisements in the mail or newspaper for a free weekend breakfast at their restaurant. On one of these occasions, I decided to go get my free breakfast. 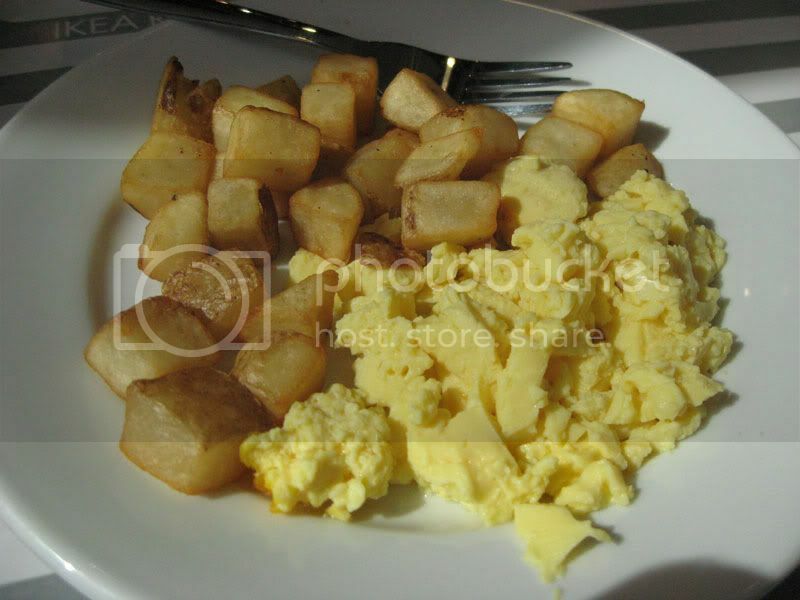 It consisted of a plate of scrambled eggs, hash browns, and a cup of coffee. They advertised bacon as part of their free breakfasts, but apparently that wasn't happening on the day I visited. Little did I know, free IKEA breakfasts are nothing new. They actually give out free breakfast Monday thru Friday and normally charge on weekends. Perhaps a visit during the week would come with bacon. 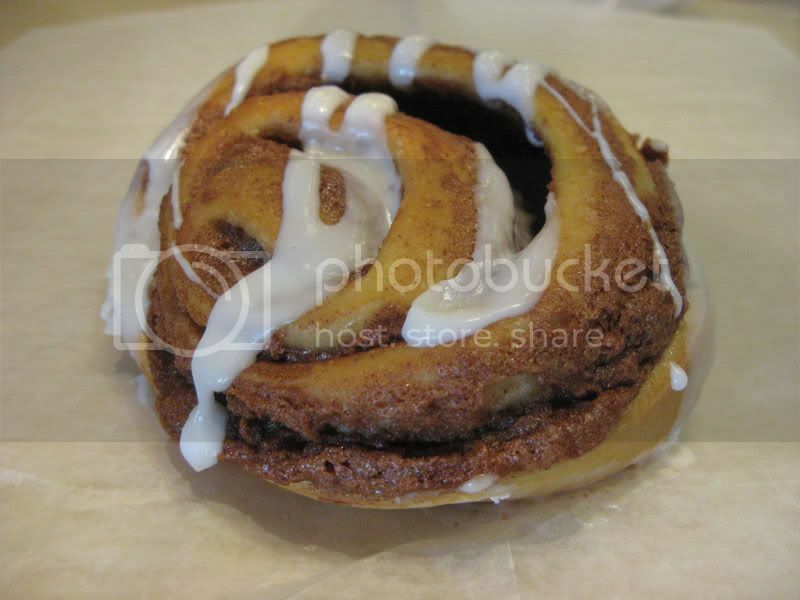 On the way out of the store, I stopped off and ate one of IKEA's cinnamon rolls. No complaints here. I ordered the San Angelo combo for my meal. It consisted of a chicken taco, a pork tamale, a cheese relleno, black beans, and rice. I ordered this not being too familiar with what tamales and rellenos tasted like exactly, but I enjoyed it. The tamale was basically a fried corn tortilla filled with pork and the relleno was a stuffed bell pepper. The only problem I had was the temperature of the restaurant. I ate there about 3:00 on a sunny day and it was kind of hot. The air conditioning was definitely on, but with the building resembled a warehouse with high ceilings and not much insulation on the ceiling, so it didn't seem very effective. I had a huge scoop of Strawberry Cheesecake ice cream in a waffle cone from Deltona Ice Cream. Apparently the ice cream is homemade and getting it in a waffle cone results in a giant portion. Schlotzsky's Deli used to have several locations in the Orlando area, but they have all closed. I really like their sandwiches, so when I saw a Schlotzsky's in Oklahoma City, I had to stop. I had a Turkey Original sandwich. 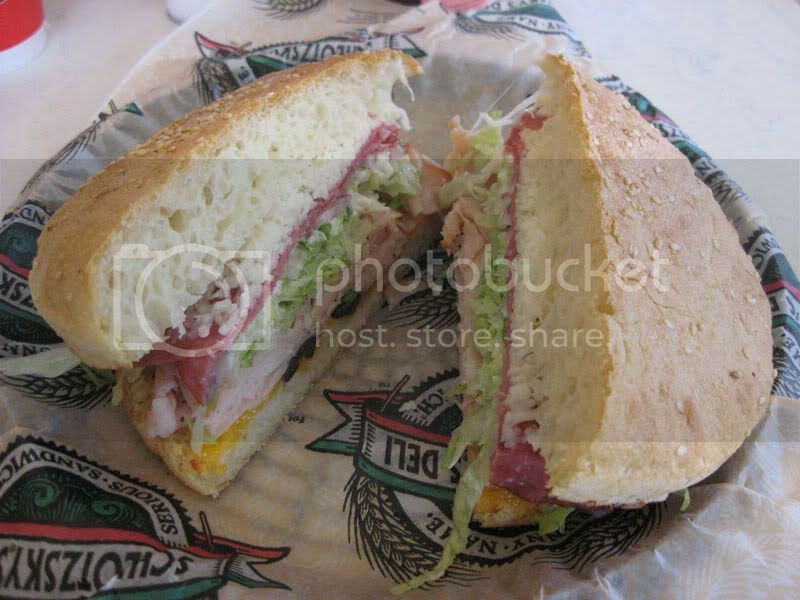 It consisted of turkey, salami, cheese, lettuce, onions, black olives, mayonnaise, and mustard on a sourdough roll. It was just as good as I remember the sandwiches being, although some of the cheese wasn't quite melted all the way. 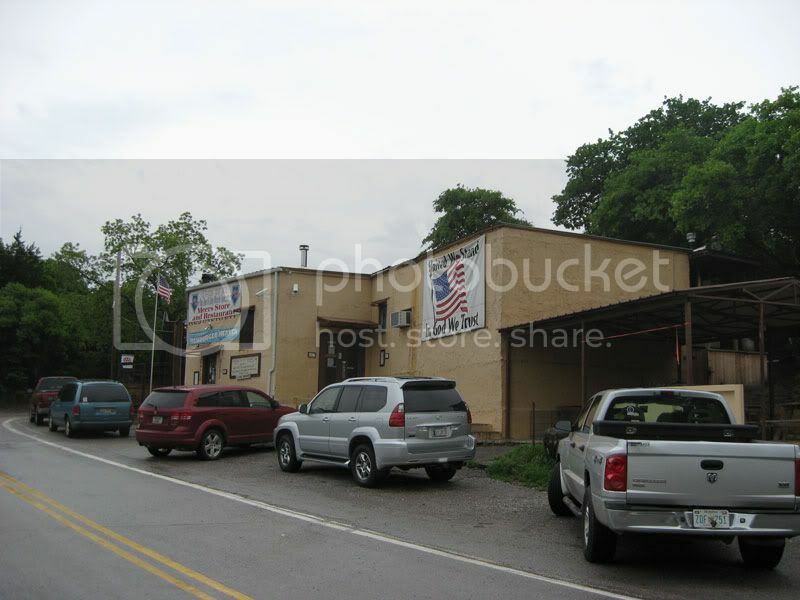 I ate at the Meers Store & Restaurant in Oklahoma. The restaurant was way out in the middle of nowhere in the tiny town of Meers, nestled in a valley between the Wichita Mountains and an army of windmills. 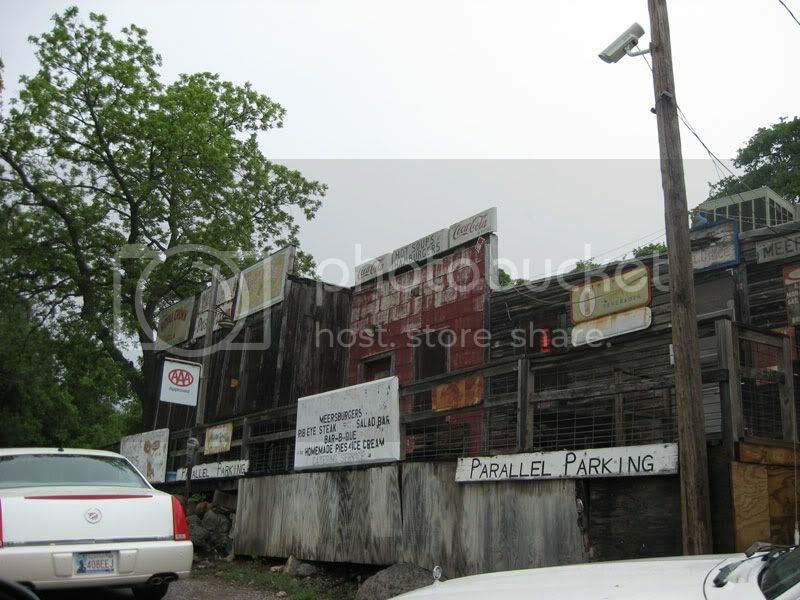 The restaurant was a hole in the wall type of place with all sorts of levels and obvious additions. It's apparently built on a fault line too, hence the seismograph in the lobby that the huge line for tables wrapps around. 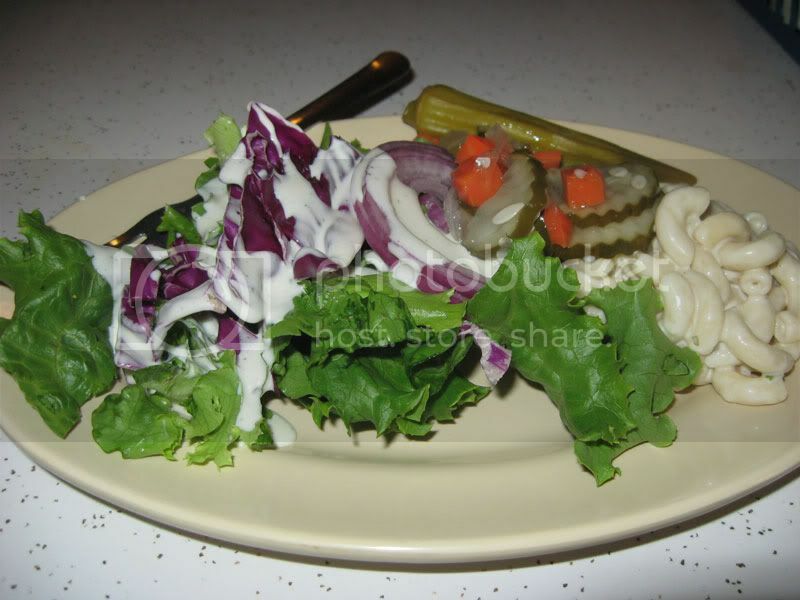 I ordered a Barbecue Chicken lunch special which came with a salad bar. I never realized how tasty pickled okra is. 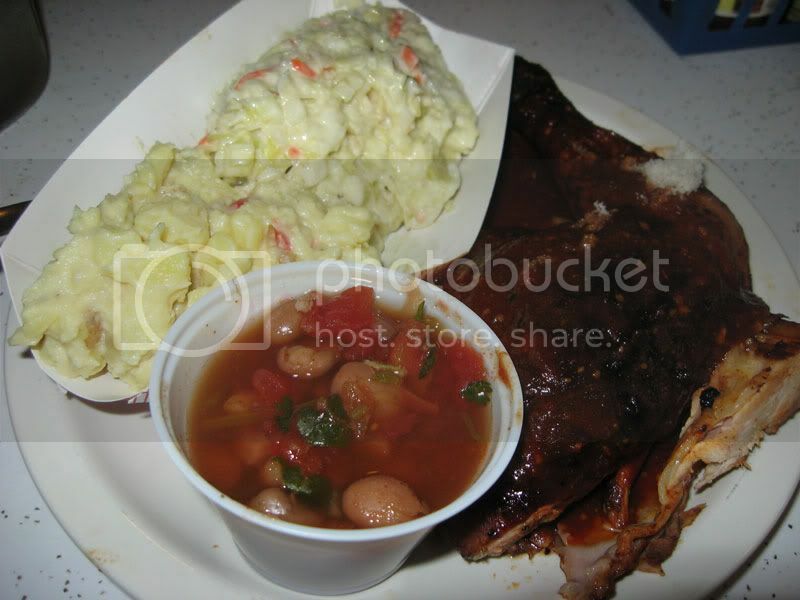 My barbeque chicken consisted of a quarter chicken, beans, potato salad, coleslaw, and Texas toast. The chicken was good, covered in plenty of barbecue sauce. It was messy, that goes along with the territory. The potato salad and coleslaw was were both really spicy for some reason, but I'm not complaining. I found the beans to be kind of tasteless, but I liked everything else. Interestingly enough, someone a few table over was taking lots of pictures of her food. Another food blogger perhaps? 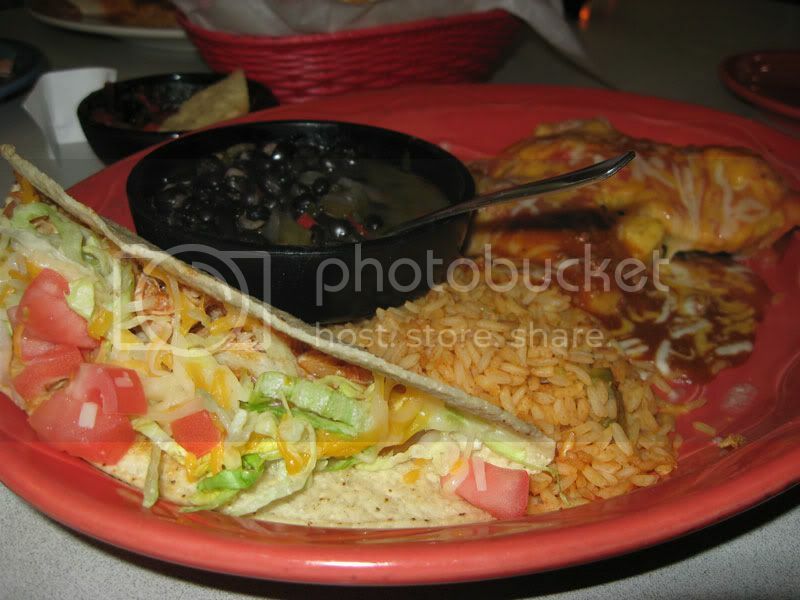 In Oklahoma City and the surrounding areas, there seemed to be a chain of Mexican fast food restaurants that were all over the place called Taco Mayo. They were more prevalent than the bigger chains like Taco Bell and Qdoba, so I decided to give them a try one afternoon at a restaurant in Yukon, OK. I ordered a Verde Queso Double Smothered Burrito. It consisted of chicken, cheese, and rice wrapped in a tortilla. The burrito was then covered with a green sauce and more cheese. 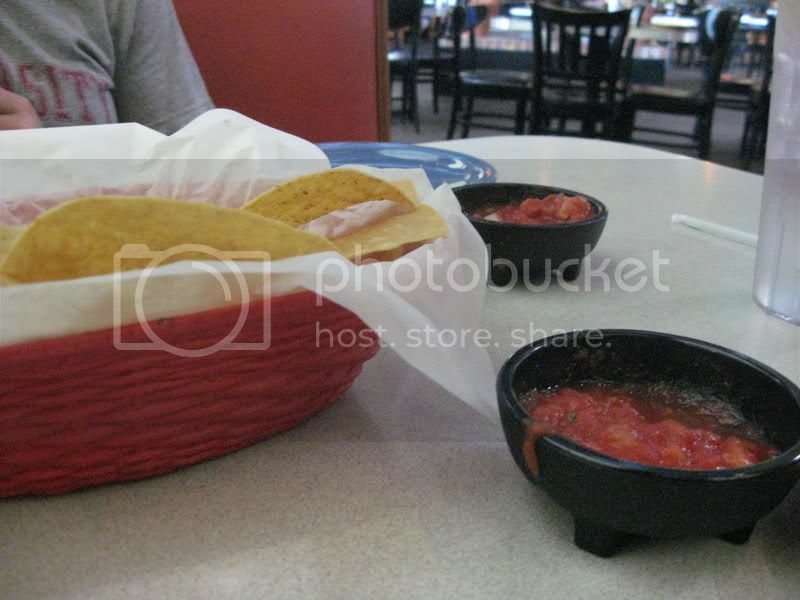 The cheese covered burrito was served with refried beans, pico de gallo, and sour cream. As far as Mexican fast food goes, this was definitely a step above Taco Bell. It was a huge amount of food for $5.29, and it all tasted pretty good. I wonder how long before Taco Mayos start showing up in other parts of the country, specifically Florida? The NCED, or the National Center for Employee Development is a hotel in Norman, OK. The hotel is used by Marriott to train their employees, and to ensure that the hotel is always crowded, Marriott made a deal with the Post Office to train the postal workers on the property. A postal worker that I know was going for some training, so I went along for a week long vacation. It cost next to nothing for me to go along, and the minimal price they charged included three buffet meals per day in their restaurant called The Grand Food Court. Breakfast on my first day consisted of pretty standard breakfast foods. Scrambled eggs, breakfast meats, hash browns, strawberries, and some orange juice. It was way too much food, but that is what happens with breakfast buffets. I took the banana to go as some sustenance for my day of exploring Normon. I returned for lunch and tried a slice of pizza and a custom made turkey sandwich. The pizza was halfway decent tasting, topped with pepperoni, sausage, green peppers, and black olives. I had no complaints about the sandwich. Later that night, I returned to the hotel for dinner. Pretty much everything that I tried on this night was horrible. There was fish (flounder if I remember correctly) that was very hard. So much so that I couldn't eat much of the fish. I choose some rice from the buffet and that was a bit crunchy. I also tried some butternut squash, and that too wasn't cooked properly and was really hard. The dinner roll was half decent, but I don't know if that counts. I also tried some freshly made mussels. They were better than the pre-made buffet items, but I still wasn't too impressed with them. The only thing I really had no complaints with was the salad from the salad bar since I picked out everything that went into it. On the second day I was staying at the hotel, I had some fruit salad, scrambled eggs with jalapenos, and a blueberry waffle for breakfast. It was all good. 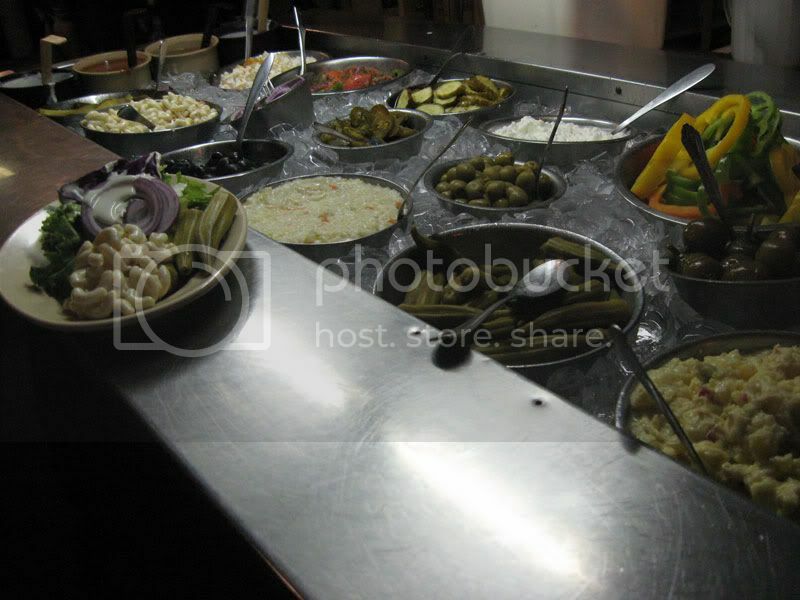 In addition to breakfast, lunch, and dinner, the hotel also did late night buffets. I was trying to go to bed pretty early so I could get an early start the next day doing touristy stuff, but on one night I stayed up to check out the buffet, all thanks to a tornado that passed very close to the building and resulted in lots of blaring sirens and everyone sitting in the hotel hallways. The choices were very limited on the late night buffet, but I ended up with a slice of very meaty pizza and a brownie. The next morning, I ordered an omelet with cheese, onions, green peppers, jalapenos, and black olives. I'm not big on omelets although if you put enough stuff in them they taste okay. I also took a piece of bacon, hash browns, a biscuit and a few of the biggest strawberries I've ever seen. These things were bigger than some apples that I've come across. After breakfast, I ventured back to Oklahoma City and visited the Art Museum and explored the underground tunnels running under the city, and then made it back to the hotel for lunch. They were serving Cajun themed food and everything was pretty tasty. I tried some Cajun chicken, okra, assorted rices, cheesy potatoes, and an andouille sausage. For dinner later on that night, I got a sense that there was an Italian theme going on. I had fettuccine Alfredo, fried ravioli (why do they ruin ravioli by deep frying them? ), beans, fish stuffed with spinach and cheese, and a salad. I would have to say this was the best tasting dinner of my whole stay. The next day consisted of my last meals at the hotel. For breakfast, I tried some new stuff such as french toast and corned beef hash. I've heard good things about corned beef hash, but I found that stuff to be disgusting. I imagine that is what dog food tastes like. I made sure to take some more strawberries, but they weren't nearly as large as the previous breakfast. Because I took a tour of the National Weather Service that took longer than expected, I missed lunch on this day. I got back for dinner pretty close to the cafeteria closing for dinner, so it seemed like everything was sitting out too long. Because of this, I had another freshly made turkey sandwich. I tried a little paella that tasted like it was sitting out too long as well as a slice of really good chocolate cake.